Ricardo was born in Lima, Peru raised closely to his extended family, and educated in a mixed international school. Since his teenage years, he has been interested in humanities and enjoyed learning about others’ cultures. While dreaming about working for an NGO or the United Nations, Ricardo’s next step after school was university. 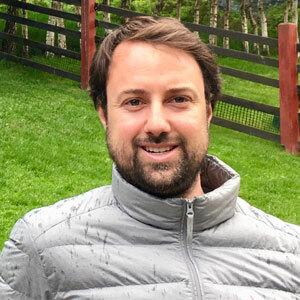 He studied Psychology, from where he felt he could make a difference, and earned his Bachelor’s Degree from Pontificia Universidad Catolica del Peru.After finishing his dissertation in clinical psychology and his internship in a mental hospital, Ricardo decided to start a career in Human Resources and worked to create positive change for employees. At age 16, he traveled on his own for the first time and explored different towns in England, developing his passion for photography. Marveling at London’s charm, he eventually went back in 2016 to pursue his Master of Science Degree in Innovation, Creativity and Leadership from Cass Business School (City University of London). This is when Ricardo realized that his true passion lies in improving society. Determined to change careers, he looks forward to developing the knowledge and skills that are necessary in achieving social innovation.